As early as age twelve, Abraham reached for the harmonica and the accordion and his passion for music found an outlet. His mother, who was from Eriteria, immigrated to Sudan 75 years ago. She was amongst the first few immigrants who came to Khartoum, the capital of Sudan. Abraham got his love for music from his mother and older brother Germai, who privately used to play the Urd and Kirar. In her later life, Abraham’s mother turned to the church and devoted her life to God. Music appeared to be a passion in the family. Jerimiah, his oldest brother played with Sharhabeel Ahmed Band in Khartoum and other several bands, . At an early age Abraham played in the American Evangelical church choir and played the keyboard. His music career officially started at the beginning of high school when he formed a band called the KINGS. He played with this band for three years and before he finished high School he joined the William Andreas Band and was their keyboard player. He then also joined the Blue Stars Band and in addition to this was fortunate to play with several Sudanese musicians like Ramadan Zaid and many more others. 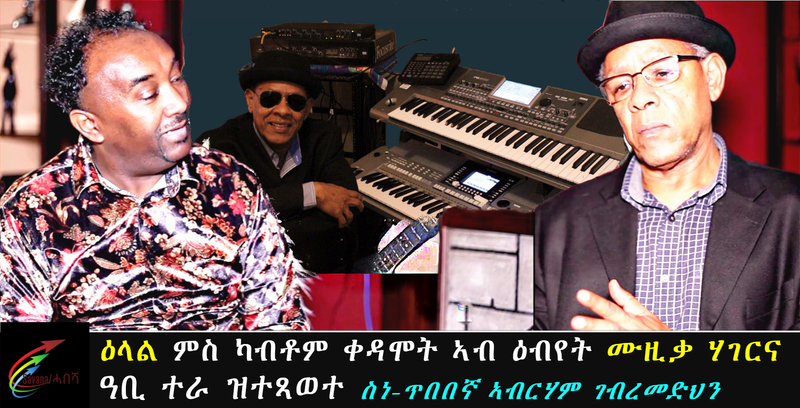 During the war between and Ethiopia and Eritrea, there was an influx of refugees including prominent Eritrean and Ethiopian musicians, artists. These and many other musicians inspired Abraham further. At some point Abraham set music aside and went to pursue his education in the US and studied Avionics and Electronics. He married his wife Michelle in 1986. Years later he turned back to music and set up his own studio and began to record his own albums. Today Abraham continues to focus on his music which uses different instrumentations allowing them in a sense, to talk with each other. Abraham also tries to sample some of the old classical Eritrean / Ethiopian from his past.